Here’s a Nissan Altima, but as you can see, it is not the run-of-the-mill Altima. 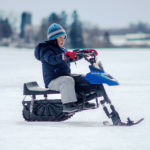 It has heavy-duty track system in place of wheels. 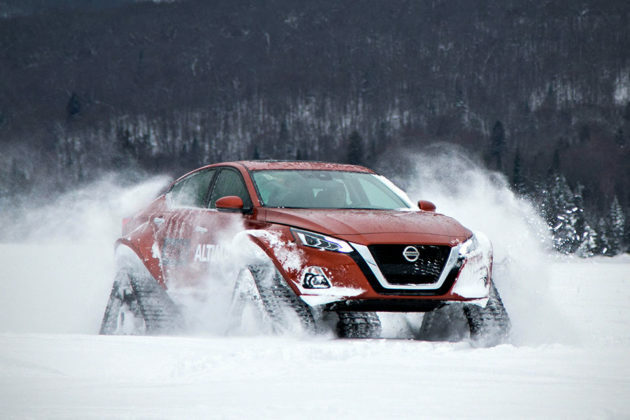 It shouldn’t surprise anyone, especially Nissan fans because, turning its cars into a powdered ground-tearing beast with tracks wasn’t new. 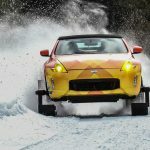 I believe it started with Nissan Rouge back in 2016 for the Montreal Auto Show and then, Nissan followed up with a track 370Z, unveiled at the Chicago Motor Show, in 2018. 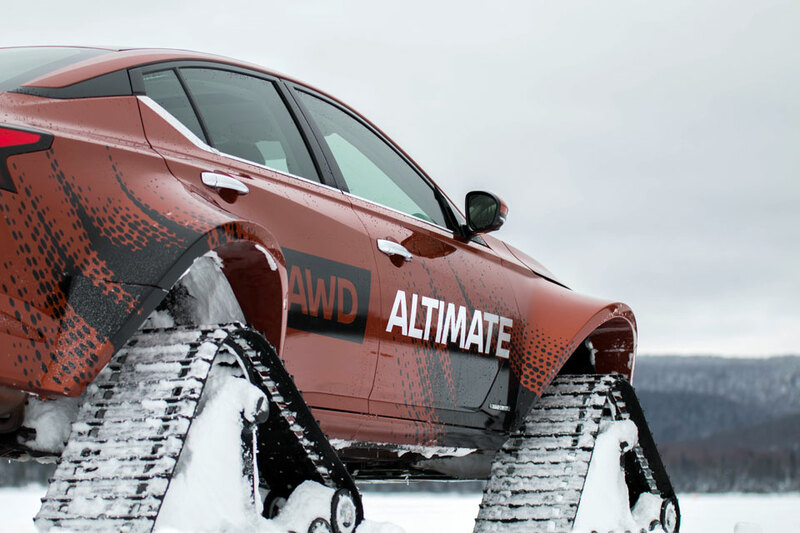 This Nissan Custom Altima with Heavy Duty Tracks here is also custom for Montreal Auto Show, happening now through to January 27, 2019. 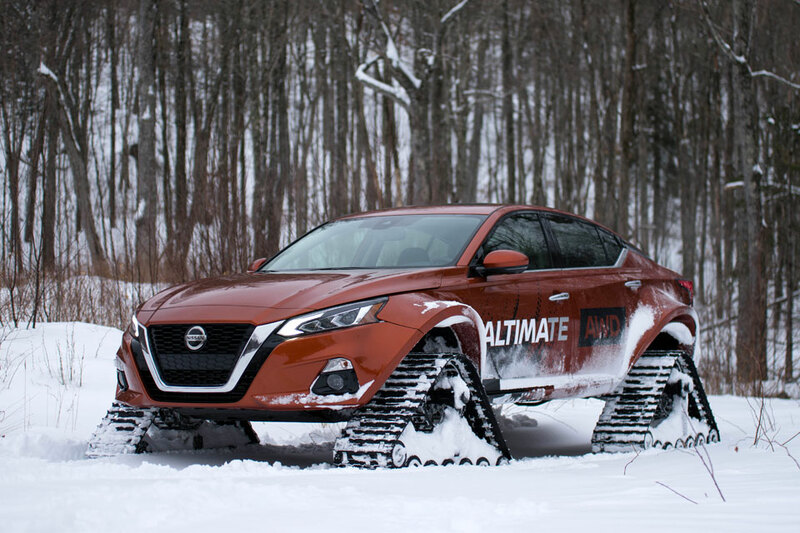 The Altima-te AWD, as it is officially called, is based on the all-new 2019 Altima and joins the “Warrior” Nissan family of one-off vehicles rolling on heavy-duty tracks. 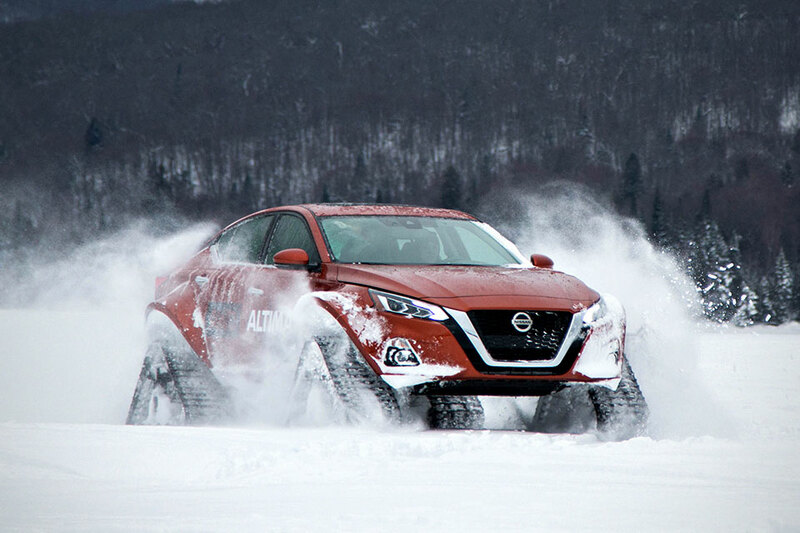 Like the Rogue, this newest track vehicle from Nissan was also modified by Quebec-based Motorsports in Action (MIA) and as with the Rogue, it has tracks from Dominator track system. The mod was not simple as look, though. 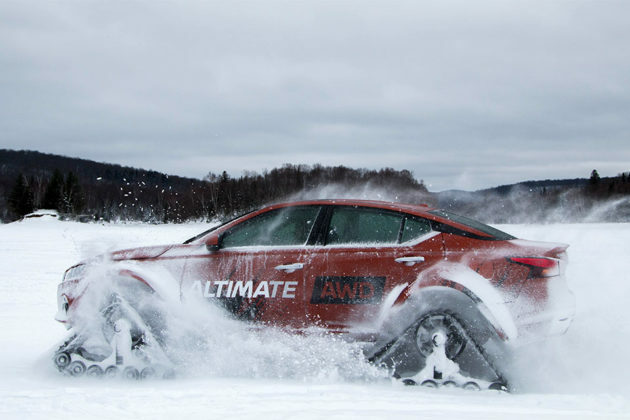 In order to get the Dominator track system to fit, extreme body and chassis modifications have to be made – more than it was required for the Rogue. The most obvious mod would be the chunky flared fender, which measures 180 mm (7 inches) on each side, lent to it by a bespoke wide body kit. 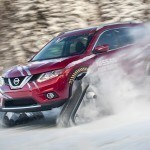 Nissan Canada said the fender alone took over 150 hours to work, or 60 percent of the entire project. Another obvious modification was the ride height, which had to be raise by 80 mm (3 inches). 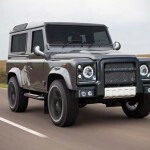 However, it was not as easy swapping out for taller suspension components; the front and rear chassis has to be dropped by 30 mm (1.18 inches) while lifting the suspension by 50 mm (1.96 inches). After that, various fine tuning on the suspension had to be done to restore the proper kinematics. In case you are wondering about the drivetrain… it should be the same 2.5L Direct Injection Gasoline DOHC 4-pot engine that produces 182 ponies and 178 lb-ft of torque. 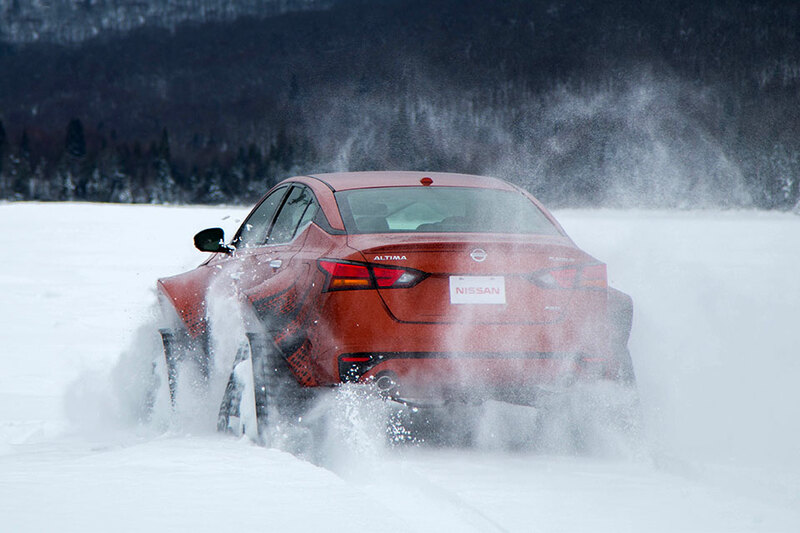 The Nissan Altima-te AWD will be on display at Montreal Auto Show during public days, after which it will move on to Canadian International Auto Show in Toronto in February. 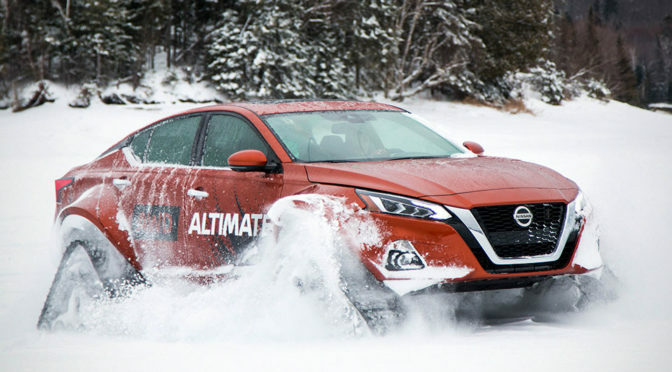 Have a look of the Nissan Altima-te AWD in action in the video embedded below.